Skye Gravestones | Ann (Macinnes) & James MacKinnon, s. Alexander. Ann (Macinnes) & James MacKinnon, s. Alexander. 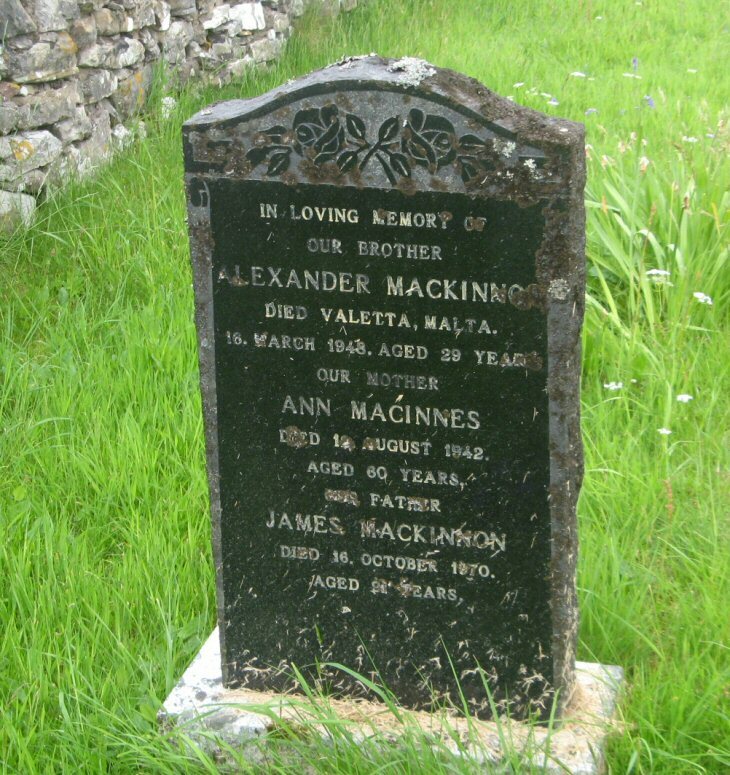 In loving memory of/our brother/ALEXANDER MACKINNON/died Valetta, Malta/16 March 1948, aged 29 years/our mother/ANN MACINNES/died 12 August 1942/aged 60 years/our father/JAMES MacKINNON/died 16 October 1970/aged 91 years.